The tech industry continues to grow at an exponential rate. There aren’t enough technically talented folks to fill all of the ICT vacancies and university is having trouble catching up. There are new methods to learn, new opportunities for a career and so much more. In this post, we’ll show you why right now is the best time to start learning to code. Smart cars, smart cities and smart… kettles? Yes, the Internet of Things (IoT) is the most commercial tech trends. The IoT is the process of giving everyday objects – like the kettle mentioned above – network connectivity so they can send and receive data. This essentially allows the user an unprecedented control over every device connected to said network. Now even city infrastructure is being shaped by technology, cars have millions of lines of code in them and they need developers to innovate what can be achieved through code and technology. The IoT has created millions of opportunities, jobs and innovations. Linked up with AR and VR and 5G just around the corner – the possibilities seem somehow endless. The IoT is needs puzzle-solvers and that’s where developers come in.On the cynical side – the IoT is not without failings, which creates even more opportunity for would-be developers. As amazing as it is, the IoT carries a significant security risk, or a back door to your data. Complicated security software probably isn’t installed in your kettle, or your baby monitor or your thermostat and that’s where ne’er do wells can cause trouble. I’m sure you have seen the chaos that ensues when people’s personal data is leaked – those poor celebrities. There has been a dynamic shift towards software – everything from virtualisation, storage depreciation, enhanced network speeds and most importantly, culture has contributed. 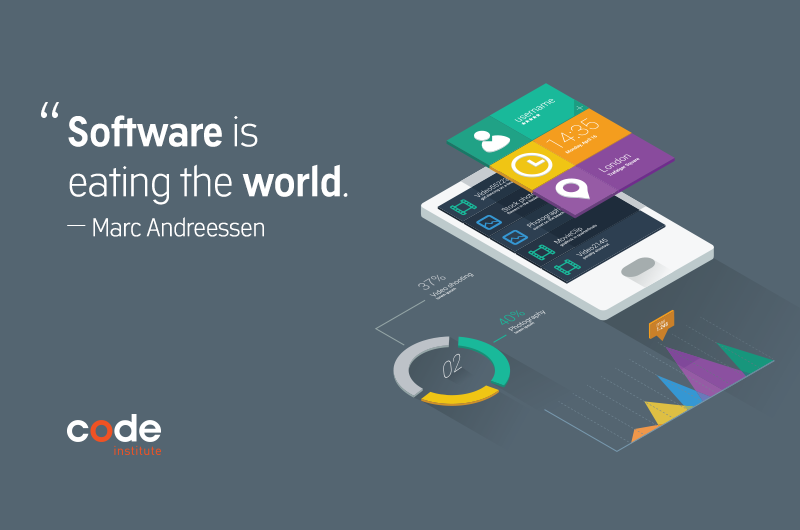 Software’s popularity is nothing new but the sector’s growth has accelerated rapidly. This is punctuated by telecommunications giant, Cisco making 7% of their workforce redundant in a move to a scalable software model. A not-so-recent Cisco report was aptly titled “Forget Technology, It’s About Economics,” that idea has far more visibility today and was echoed by Cisco CFO Kelly Kramer following the move. Software developers have been in high demand for a few years now but the shift is sure to create even more opportunities for coders. 3. Learning: A Resolution that Pays! Sure, you could eat better and exercise more – in fact, we strongly encourage it! But why bother with expensive gym memberships and personal trainers that ultimately yields temporary effects? There are a million reasons that people like to change but as cliched as it is, flexing your muscles isn’t nearly as satisfying as flexing your brain. Learning a new skill is something that follows you for life. Who knows? You could wind up developing the next big fitness app instead. – then there’d be no need for an expensive Fabio-esque personal trainer. But you could definitely afford one. Actually, on the topic, our next top life-changer is to save more and spend less, which is admirable – if not a little bit of a unadventurous. With surging demand for practically skilled software developers – the average salary increases year in, year out. So even if you’re on a great career-track – coding could make it a little easier to save a bit more. Open up new doors, new ideas and allow yourself to create something brilliant for your 2017 resolution. Do keep fit and eat well too though! Yes, we are in the age of the startup. There’s a new company born every minute in the UK alone and most of them have a couple of things in common. Work under very short deadlines with limited resources. This is largely due to the immeasurably scalable business model that has developed over the last few years. The entrepreneurial ambition to be the “Uber of…” just about anything and the ability to launch quickly is what’s so attractive. With infrastructure in place for the IoT, startup ideas are limitless – simply find a problem in the home, workplace or a community and fix it… err… quickly. If you can create an application, bridge a problem-gap and monetise – any idea can become your business. Seriously, an app named Yo! raised millions in seed capital. Yo me the money! This is why the development of a general-purpose language like Python is perfect. Python – as a clever Quora-coder put it – allows you to quickly release your minimum viable product (MVP) which optimises your time to market. Python isn’t the only dynamic, easily scalable coding language but it’s fast becoming the choice for startups. 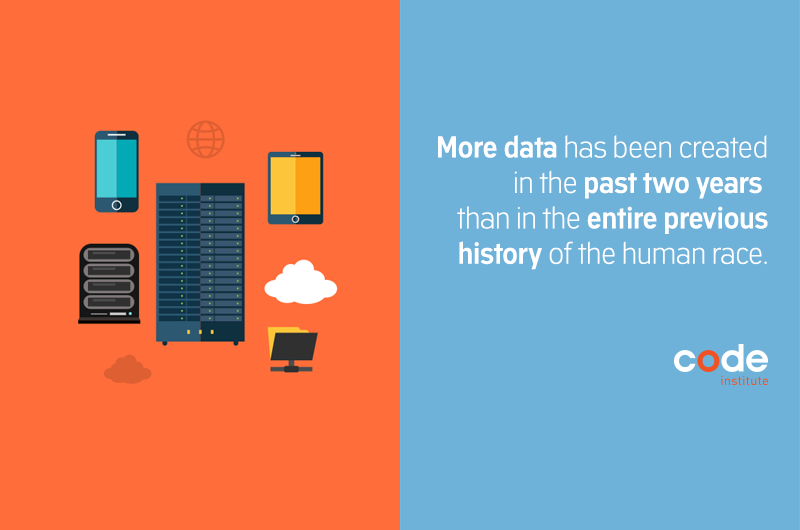 Medical care, finances, sports and most huge organisations are being guided by big data. Key business decisions are being influenced by data, athletes are being played or benched based on analytics and patients are getting much-needed care from risk assessment. But how is this all processed? How do we craft a narrative from a borderline insane amount of numbers. How do we make sure there was nothing missed? You could trawl through tonnes of data sets, searching for the most pertinent numbers (like making an infographic) but learning to code can help you do the heavy lifting. Languages like SQL, Python, and Scala are brilliant languages for processing complex data and can significantly improve your role. They feature sophisticated data mining tools and dedicated libraries. If you’re just starting out, avoid something like R – it’s a little bit clunky with a steeper learning curve than Python. A goal of becoming a software developer has never been more achievable. Gone are the days that you had to slog through four years of a traditional Computer Science degree. Now you can learn how to code faster than ever with an intensive full-time programme or online in less-than-a-year. Coding education has become accessible for everyone with fully mentored online programmes, introductory modules and workshops. So even if you’re not sure if it’s for you, there’s support from the development community to help you get started. Busier students may find it difficult to fully commit to a 12-week, 9-5 bootcamp – but they can learn on their own schedule, from home with help from a professional developer. Are you still on the fence about learning a ‘lil bit of code? Sign up for our free online workshop and learn the basics of HTML and CSS in 90mins and built a simple site. Statistics via Course ReportThere were an estimated 18,000+ graduates across 91 US bootcamps in 2016 alone. 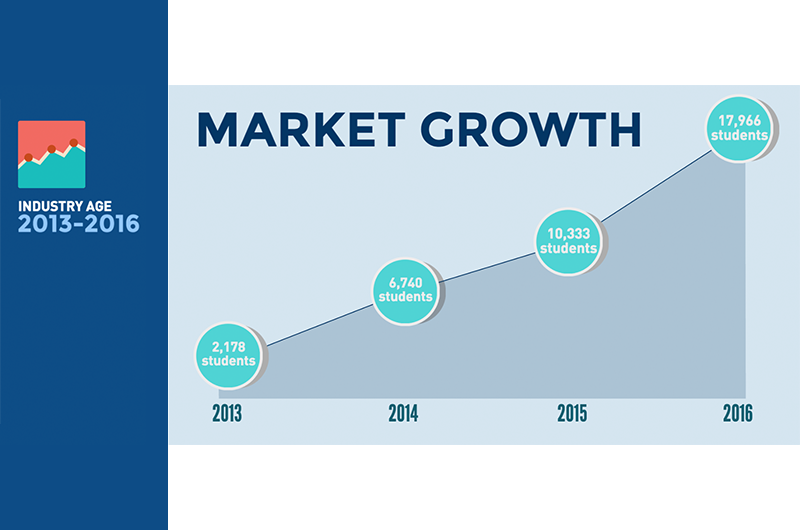 This figure has grown immensely since 2013 turned out only 2,300 US Graduates. Any new method of learning will be met with speculation, but these figures make it clear that sentiment towards coding bootcamps is trending upwards. Of course, success varies from location to location and from student to student but that’s to be expected. Education delivery methods have continued to improve and eventually the skills gap will begin close. Now is the time to get in on the ground floor as the old saying goes. Right now, the skills gap continues to grow and the talent pipeline continues to get deplete, despite the wealth of bootcamp graduates and traditional university graduates. Web development coupled with AI, VR, AR, IoT, MedTech, Fintech and a litany of other industries means you’ll never be short of coding opportunities. But you have to learn it first, sign up below to find out the fastest way to become a software developer.